BATE vs Arsenal: How will the Gunners line up in Belarus? Here’s how Arsenal might line up vs BATE in the Europa League: Will Mesut Ozil start? Arsenal will travel to Belarus in order to take on BATE in the Europa League and this could very well turn out to be a tricky fixture for the Gunners. During the group stages the manager has chosen to play a lot of youngster in Europe but now that they have reached the knockout stages, Emery is expected to name a strong first XI. And he has been boosted with the fact that a number of players have returned back from injuries. The club have confirmed that Mesut Ozil, Aubameyang, Granit Xhaka and Sokratis have all returned back from injuries. Mesut Ozil has struggled for game time this season but the German should be handed a starting role vs BATE on Thursday. Pierre Emerick Aubameyang is also expected to start as the lone striker meaning Lacazette will get a much-deserved rest. Henrikh Mkhitaryan should play down the right flank which means that Denis Suarez will have to make his European debut in midfield and not in the wide areas. Sokratis should be named in the matchday squad but we feel the manager will stick with the combination of Koscielny and Mustafi in central defence. Elneny might play in central midfield alongside Guendouzi which means Lucas Torreira will start the game from the bench. Aaron Ramsey has not yet been declared fit but the club have stated that the midfielder will be assessed before the game. First XI: Cech, Nacho Monreal, Koscielny, Mustafi, Lichtsteiner, Elneny, Denis Suarez, Guendouzi, Mkhitaryan, Aubameyang, Mesut Ozil. Read: Arsenal receive a quadruple injury boost just 24 hours before they take on BATE in the UEL. Read: It looks like no one wants to sign ‘this’ Arsenal misfit. Read: Here’s why ‘this’ Arsenal man could not move out of the Emirates in January. Read: Where is ‘this’ Arsenal player heading to during the summer transfer window? 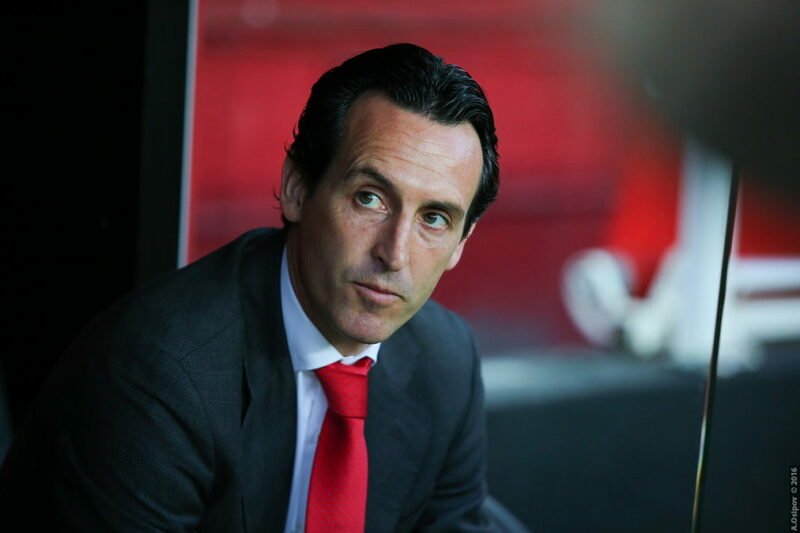 Read: Unai Emery is making the same mistake at Arsenal which he made at PSG. Previous articleWhen will ‘this’ injury hit player return back to full fitness for Liverpool?